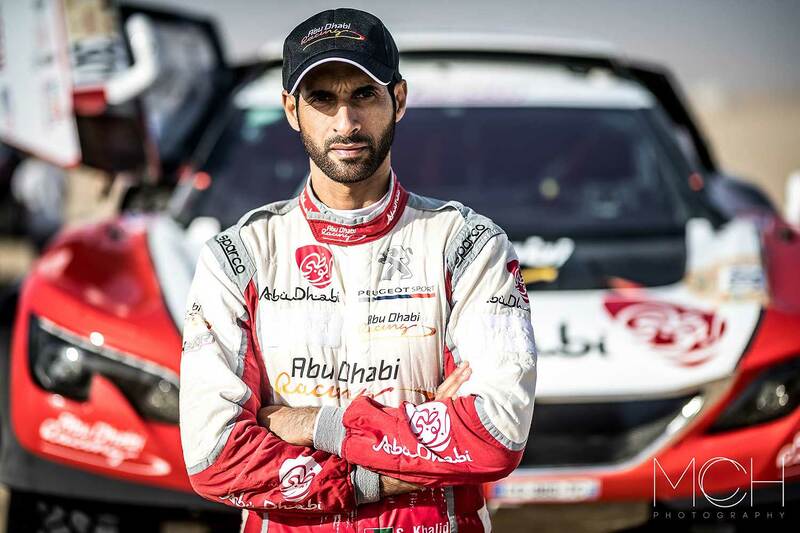 UAE’s champion Sheikh Khalid Bin Faisal Al Qassimi has stressed he will leave no stone unturned while defending his title at the 2018 Abu Dhabi Desert Challenge, round three of the FIA Cross Country Rally World Cup. Driving his Abu Dhabi Racing Team Peugeot 3008 DKR car with Frenchman Xavier Panseri as co-driver, Sheikh Khalid leads a powerful line-up of 40 cars when the rally kicks off with a Super Special Spectator Stage at the Yas Marina Circuit this Saturday (March 24). The Peugeot-Abu Dhabi Racing Team driver conducted a quick testing session in the desert earlier during the week and stressed that he and his team had fulfilled their objectives. "We needed a quick test to check the set-up. It was very important to have the mechanics build the car again and I had to go again and get a feel of the car with the new set-up so that we got more comfortable. We tried a few changes like tyre pressure and balance and we are happy with what has been done," Sheikh Khalid said. 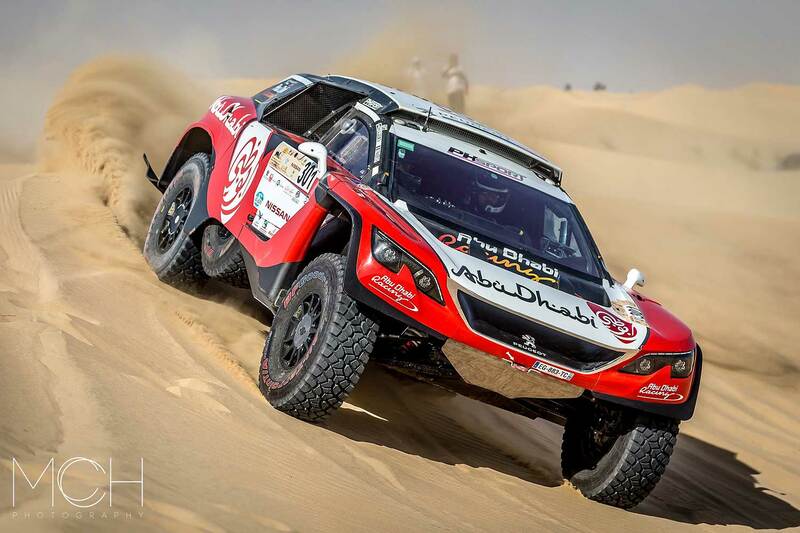 An outright winner at the end of the 2017 Abu Dhabi Desert Challenge, Sheikh Khalid reiterated that it is important to concentrate on the minor aspects of rallying. "After what we achieved in the last race (Dubai International Baja) it was important that we pay attention to the smaller things to give ourselves a chance to change a few things," he added. With all things worked out as per his liking, Sheikh Khalid is confident of claiming a second crown when the rally ends on March 29. "If you ask me what I am here for, I will tell you with all conviction that I am here to defend my title and nothing else. I want to go all out for a win. But we have to also be mindful of the fact that there are quite a few drivers who have won this rally before," Sheikh Khalid confessed. "I will continue from where I left off in the last rally where I won the final stage at the Dubai International Baja." Among his biggest opponents is Polish driver Jakub Przygonski, while Saudi Arabia’s Yazeed Al Rajhi will return to action with German co-driver Timo Gottschalk. "There is a bunch of drivers, perhaps six or seven, who can be considered genuine title contenders. Most of them have already won this rally more than me or they have been on the podium. But I believe that the pressure and challenges will be on them. There are several challengers who are capable of defeating us, but we will be there at the top of our game," Sheikh Khalid promised.